The sales numbers are in for October 2012 and once again, the Chrysler Group is the strongest of the American automakers and third from the top among major auto groups – trailing only Toyota Motor Company and the BMW Group. In October 2012, 4 of the 5 brands under the Chrysler Group halo posted positive growth and as a whole, the company posted its 31st consecutive month of year over year growth (this month compared to the same month last year). Also, with 126,185 vehicles sold in October, the Chrysler Group ranked 4th behind only Ford, GM and Toyota. The rebirth of the Fiat brand continued through October 2012 with the compact little Italian import moving 3,720 units – accounting for an improvement of 89% compared to the same month last year. 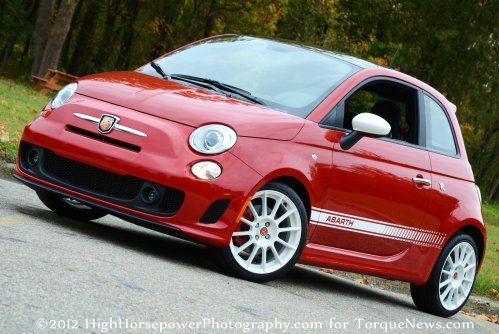 All of these sales come strictly from the Fiat 500 in coupe, convertible or Abarth form as those are the only models currently offered by the brand. On the year, Fiat has moved 36,462 for an increase of 130% over the first ten months of 2011. We can expect things to continue to improve for Fiat as more models including larger versions of the 500 along with the introduction of models like the electric 500. Next in line was the Dodge brand with 40,611 total vehicles sold accounting for an increase of 20%. More importantly, those sales figures helped Dodge to be the top brand from the Chrysler Group in sales volume. The top models from Dodge in terms of growth were the Grand Caravan (up 49%), the Charger (up 36%) and the Journey (up 18%). In terms of sales volume, the Grand Caravan was the top dog with 10,603 minivans sold followed by the Avenger with 7,637 units sold while the Journey rounded out the top three with 5,955 midsized sedans sold. As a special note, the 2013 Dodge Dart continued to see things grow, moving 5,455 units and posting its best month yet. On the year, Dodge has sold 432,523 units for an increase of 14% over the first ten months last year. The Ram Truck brand was the third best among the Chrysler Group with 25,609 minivans and pickup trucks accounting for a jump of 17% over the same month last year. As always, the Ram pickup family was the top model in terms of both sales growth (up 20%) and volume (25,222 units sold). There were also 385 examples of the Dodge Grand Caravan based Ram C/V and two copies of the good ol Dakota pickup sold in October. On the year, the Ram Truck brand has sold 244,969 units – an increase of 16% over the same period in 2011. The Chrysler brand was the fourth strongest in terms of growth with a minimal increase just 5% coming from 22,222 units sold last month but 5% growth is better than 5% of decline. Chrysler was led in sales growth by the flagship 300 sedan with an increase of 40% while the Town & Country minivan was second in growth with a 31% improvement. The Chrysler 200 midsized sedan is the only other model in the Chrysler brand lineup and while the 200 led the brand in sales with 8,758 units sold – the midsized luxury sedan posted a negative growth of 22%. The Town & Country minivan was a close second in sales volume with 8,281 units sold and the 300 was third with 5,183 units sold. On the year, Chrysler has sold 263,688 sedans, convertibles and minivans for an improvement of 47% compared to last year. Surprisingly coming in last for the Chrysler Group in terms of growth through October 2012 was the Jeep brand, with 34,023 sport utility vehicles sold accounting for a drop of 5%. Jeep was led in sales growth by the Patriot with a jump of 18% while the Wrangler was second (up 14%) and the Grand Cherokee was third (up 8%). In terms of volume, the Grand Cherokee narrowly bested the Wrangler by a margin of 11,919 to 11,310 and the Patriot was a distant third with 4,209 units sold. Through the first ten months of 2012, Jeep has sold 399,213 vehicles which accounts for an increase of 18% compared to the same term last year. While it likely won’t make any massive impact on the overall sales figures, next month’s sales report from the Chrysler Group could mark the first time that the SRT brand is listed as the 2013 SRT Viper is expected to begin arriving very soon. The first deliveries are expected by the end of the calendar year so that should happen within the next two months. I have a 2012 Chrysler 200 Limited and it's a great car. Chrysler is really stepping up the value, quality and content of its products and that must account for its sales increases.